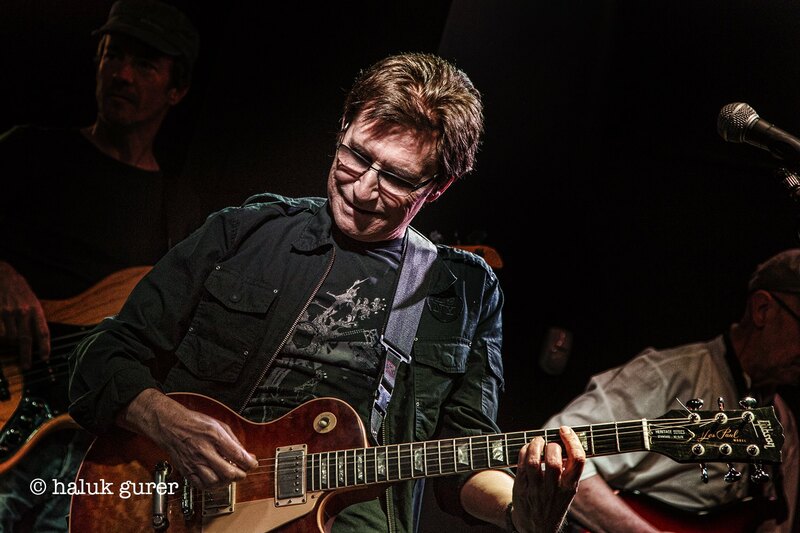 Russ Ballard's music career began in the 60s in bands such as Unit 4 plus 2 through to Argent and as an in demand songwriter and solo artist he is keeping busy and is still writing new music. The artists who have recorded Ballard's songs are varied such as Anni-Frid from ABBA, Santana, Hot Chocolate, Rainbow, Kiss and many others. The gig tonight was a rare intimate show for Ballard. He was determined to have fun and wanted the audience to party. Russ's enthusiasm was certainly very infectious. Starting off with Rene, Stand In My Shoes (It's My Life), the magnificent Dream On and Liar, the set was packed full of hits. Can't Hear You No More and Fire Still Burns were up next and Ballard talked about one of his first bands Unit 2 plus 4 with drummer Bob Henrit and played a bit of Concrete and Clay before playing a medley of So You Win Again/Something's Goin In/New York Groove. Russ introduced excellent new song Time Machine with an anecdote about venturing into the world of digital music and downloading, which he is still getting his head round. Ballard encouraged the crowd to sing along during Voices, an extended Hold Your Head Up featuring his trademark silver coloured Strat and I Don't Believe In Miracles. A fan shouted for Winning a song that Santana recorded and Russ duly obliged and even said that the band had not rehearsed it, you couldn't tell! The set ended with the classic God Gave Rock N Roll To You. Not wanting the gig to finish the fans shouted for more. The band returned and played the excellent Since You've Been Gone introduced as an Irish jig then another fan request It's Too Late before ending the night with a flawless cover of Rock N Roll classic Little Queenie. Having been so used to hearing these songs as played by other musicians it was great to hear them played as they were originally intended by the man who wrote them and he also gave a master class in the art of performing live.